Kempton H. Roll helped found the MPIF in 1957. 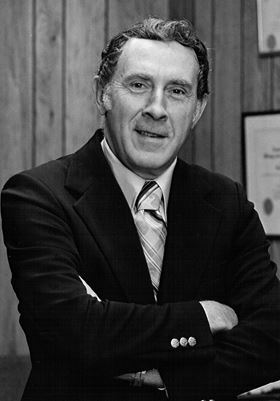 Kempton H. Roll, founding executive director of the Metal Powder Industries Federation (MPIF) died on 4 November 2015, following a short illness. Well-known in the national and international metalworking communities, Roll retired in 1988 after a 40-year career. He joined the Lead Industries Association in 1948 as technical director with responsibilities for the former Metal Powder Association (MPA), forerunner of MPIF. He was named executive director of MPA in 1956 and helped found MPIF in 1957 as the umbrella organization representing different sectors of the metal powder producing and consuming industries. He was also executive director of APMI International, the professional society for powder metallurgy (PM) that he helped found in 1959, and served as publisher of the International Journal of Powder Metallurgy. He attended Carnegie Institute of Technology and graduated from Yale University in 1945 with a degree in metallurgical engineering and served in the Pacific during World War II as a bomb disposal officer with the U.S. Navy. He wrote extensively about the technology of powder metallurgy (PM) and was co-editor of six books in the series Perspectives in Powder Metallurgy, published by Plenum Publishing Corp and MPIF. He received the prestigious Powder Metallurgy Pioneer Award in 1992 and the Distinguished Service to Powder Metallurgy Award in 1988, both from MPIF. In 2007, to honor his lifetime accomplishments, MPIF created the Kempton H. Roll PM Lifetime Achievement Award which is presented every four years. He was named a Fellow of ASM International in 1987 and was a Legion of Honor member of the Minerals, Metals and Materials Society. This story is reprinted from material from the MPIF with editorial changes made by Materials Today. The views expressed in this article do not necessarily represent those of Elsevier.